When individuals have been wrongfully injured, they may feel unsure as to what steps to take next. Having an experienced Portland personal injury lawyer by your side to help you navigate through the process can prove extremely beneficial from both a legal perspective and a peace-of-mind perspective. To learn more about how an experienced injury attorney can help and discuss your case, call today. With more than $30,000,000 recovered in the last three years for our injured clients. Our Portland personal injury Attorneys have the experience to win your case. At Dwyer Williams Cherkoss Attorneys, PC, our personal injury and accident attorneys in Portland, OR have recovered millions of dollars for our clients to pay for their lost wages, medical care, and the pain and suffering they endure as a result of another’s negligence. 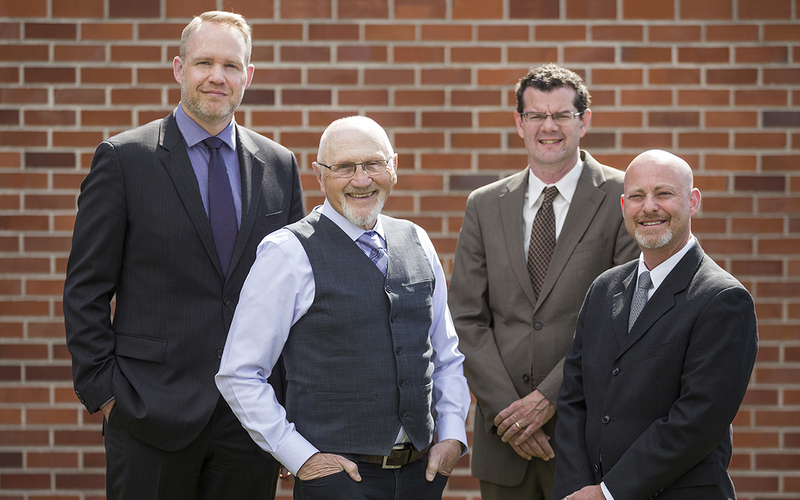 For more than 75 combined years, our attorneys in Multnomah County, Oregon have devoted our legal careers to holding negligent drivers, property owners, and operators accountable for the injuries they cause in our city. If you have been injured in an accident, our lawyers will help you establish your full financial needs before pursuing the party who caused your pain. When Should I Hire a Personal Injury and Accident Attorney in Portland, OR? Any time you are involved in an accident – no matter what type of accident it may be – you should consult our office. The dedicated team of personal injury and accident attorneys at Dwyer Williams Cherkoss Attorneys, PC are trailblazers in the legal industry. Our courtroom and litigation technology, aggressive strategies, and decades of recorded success allow our lawyers to pursue the best financial outcome available for each of our client’s unique needs. No two people will have the same needs, or share the same accident circumstances, so our personal injury attorneys will design your case to fit your specific injuries and financial requirements, so you are able to return to your previous quality of life without worry. ​Do You Need to Hire an Accident Attorney in Portland? Car accidents are the most common types of personal injury accidents and account for more accident-related fatalities than any other type each year. When your body is forcefully jarred during an accident, it is important to seek medical care right away to have your complete physical wellness assessed. Never assume you are okay after an automobile accident. The adrenaline you experience during an accident can mask serious injuries which can become more severe as time passes, causing irreversible medical problems later. Seek medical care, and call our car accident attorneys in Portland, OR immediately to ensure your rights are protected, and that no one takes advantage of your compromised physical and emotional state. Portland, OR is one of the best places in the country to ride a bicycle. The city has invested exceptional resources into providing individuals and families alike with safe riding options on paved baths. Unfortunately, erratic and negligent behavior persists on these paths, just as they do on the roadways, which can lead to terrible bicycle accidents with injuries. Any collision or fall from a bicycle, especially when it happens blindly, can cause severe injuries that will be lengthy and costly to the rider. That’s where our bicycle accident personal injury attorneys come in. We can help you pursue the individual or party who caused your injuries for the financial recovery you deserve. Simply passing a fenced dog who is barking ferociously with intimidating behavior causes concern. What if the dog jumps the fence or somehow gets loose? What if the owner isn’t around to corral the dangerous behavior? Now imagine being physically bitten or attacked by the same dog, and the damage it could do. Whether it is a single bite or a full attack, the danger does not end once you seek care. Infections, lengthy healing times, scarring and disfigurement can all result from dog bites, and the mental anguish can be just as traumatic. If you are involved in a dog attack in Portland, OR do not try to pursue the owner for financial recovery on your own. Our exceptional legal team will ensure all hurdles are removed from the process, so you can focus on healing while getting the money you need to move forward with confidence. Riding a motorcycle or ATV in Portland, OR is a perfect way to experience the beauty of our city – up close and personal. Unfortunately, that same allure can become the life-changing aspect of an accident. If you are hit by a vehicle while riding, the impact of the car, truck, or SUV and then the road can cause severe injuries that take months of recovery time. Our motorcycle and ATV accident attorneys will help you move forward with the healing process by pursuing the negligent party who caused your injuries, so you can plan for the future with positivity. Neck, back, and brain injuries are often the result of a violent crash that results in extensive medical costs, long-term care, and often, the inability to return to work. Our personal injury attorneys have recovered millions of dollars for our clients after they suffer from these injuries because we know it can make the difference between life and death. We can do the same for your family if you have experienced one of these terrible injuries because of another’s negligence. Trips, slips, and fall accidents can cause very serious injuries that are often overlooked because people blame themselves for the accidents. If you slip and fall on a wet floor in a restaurant, and there was zero warning that you were entering a dangerous area, that’s negligence – not clumsiness. Your injuries are going to require medical care, and possibly time away from work. Lost wages combined with mounting expenses can damage your confidence and stifle your ability to heal. Don’t blame yourself for your accident. Contact our personal injury attorneys for guidance through the legal process so you can hold the negligent party properly responsible for your injury, and to keep this from happening to another. The attorneys at Dwyer Williams Cherkoss Attorneys, PC know all too well that while nursing home abuse is one of the worst offenses we handle, it isn’t uncommon in Portland, OR. Our aging community needs organized care that some families are unable to personally offer in their home. Trusting someone with your elderly loved one’s care is often the best decision. Then it is up to the companies you are paying for care to hire the best personnel available. When they don’t, and abuse, neglect, or mistreatment of any kind becomes an issue, we want to help you hold these people – and the nursing home – responsible immediately. Semi-truck accidents in Portland, OR are all too common because of our bustling economy and their roles in that success. Tractor trailer traffic is necessary to pick up and deliver goods throughout the state, but when they are operated by negligent drivers or when the trucks are not properly maintained, our community is at risk. Because of the truck’s size, the accident can cause serious injuries to those riding in passenger vehicles. This can require lengthy care when care is possible at all. Fatalities are common in truck accidents, and our attorneys can help you pursue the driver, trucking company, truck manufacturer or maintenance company for their role in an injury or wrongful death circumstances. Wrongful death cases are the result of the action or inaction of a negligent party that leads to the untimely death of another. Simply put, if your loved one was hit and killed by a driver who was operating a vehicle while under the influence of alcohol, you could have a wrongful death case. These cases are designed to alleviate the financial burdens families endure when the bread-winner is taken from them without warning. Paying for burial and funeral expenses can be the first overwhelming costs associated with your heartbreaking loss. But that may not be the end of this ongoing nightmare. Household expenses, lack of insurance of benefits, and the loss of companionship can be devastating. At Dwyer Williams Cherkoss Attorneys, PC, we can help you cope with this terrible scenario, and lend some strength to your case to help you prevail in the end. Getting hurt at work can be life-changing, simply because of the complex rules and regulations that are involved in workers’ compensation cases in Portland, OR. The best advice we can give to anyone who is hurt at work is to not try and go it alone against your employer, the state, and the bureaucratic roadblocks that are in place to keep you from receiving the benefits you deserve after a work-related injury. Our workers’ compensation attorneys have been handling these cases for more than 75 combined years and can help you maneuver the political landscape quickly and effectively, so you can begin collecting the financial restitution you deserve to heal fully. At Dwyer Williams Cherkoss Attorneys, PC, our personal injury and accident attorneys in Portland, OR are committed to protecting our community from negligent parties, their insurance companies, and any legal representation they may employ to counter their decision to behave unlawfully. Our central location allows victims access to top-tiered legal representation, giving our clients the opportunity to rebuild their lives without the stress of waiting for the person who caused their accident to do the right thing. We will enforce your rights fully and allow you to focus on your physical and emotional care while we outline the proper financial settlement you deserve. Our firm only recovers payment if we win your case, and with millions of dollars in settlements recovered for our clients, victory is our only goal.